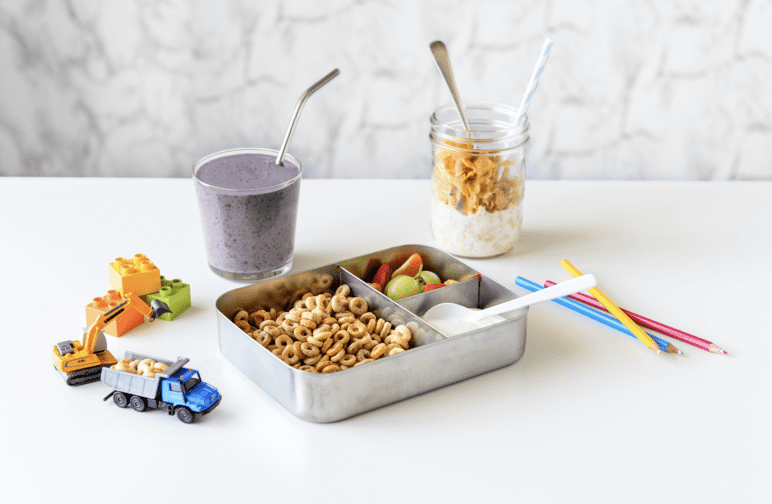 Getting your kids to eat breakfast can be an on-going battle for many parents, with the main barriers being a lack of appetite or fussy eating patterns. However when you can convince them, be sure it counts. Easy brekkie gets nutrition tick. Grabbing a bowl of breakfast cereal for your children may be more than a quick-fix to help manage the morning rush. The good news is that as well as being the most popular way to start the day, it also gets a scores big for your nutrition buck, provided you choose wisely. Higher intake of nutrients. Children that started their day with breakfast cereal had the highest intakes of dietary fibre and nutrients including calcium and iron – key nutrients where Australian children are falling short. In fact compared to children that ate other foods for breakfast, cereal eaters had 32% more iron, 30% more riboflavin, 23% more calcium, and 9% less salt in their daily diets. Interestingly, nutritional benefits were consistent, regardless of the total sugar* content of the breakfast cereal eaten. Troubled teens. Growth spurts and changing bodies mean teens have greater nutritional needs, but their breakfast habits could be robbing them of important vitamins and minerals. The study revealed teens were more likely to have skipped breakfast and less likely to have eaten breakfast cereal – two breakfast habits the research linked with lower nutrient intakes. Lets Talk Sugar. The NRA study showed there was no difference in the amount of added sugars** in children’s diets, no matter whether they started the day by eating breakfast cereal or other breakfast foods, like toast and spreads. There was also no difference in their kilojoule (energy) intakes, but cereal eaters had healthier diets that were higher in vitamins and minerals. Milking it. Starting the day with breakfast cereal also helped to boost the amount of milk children were getting. Dairy milk is the top source of calcium in the diets of Australian children and also provides magnesium, potassium and riboflavin. Skippers missing out. Almost one in ten Australian children headed off to school or play without breakfast, according to the study. Those who skipped breakfast also missed out on getting important nutrients needed for growth and development with the researchers reporting they had the lowest daily intakes of most nutrients and dietary fibre. Most (61%) children skipping breakfast were in their mid to late teens (aged 14 to 18 years). This study was funded by a research grant from the Australian Breakfast Cereal Manufacturers Forum (ABCMF). * Total sugars includes naturally occurring sugars (i.e. from fruit and milk) and added sugars. **Added sugars include sugars and syrups that are added during food preparation, either by the food consumer or home cook or food manufacturer. Tune out. TV shows and iPad games can be distracting so only agree to turn them on once breakfast is eaten. Lead by example. Parents who skip breakfast are more likely to have children that follow suit. Avoid the rush. Prep as much the night before. Pre-chop fruit or soak oats and refrigerate to lessen cooking time. Keep a stash of healthy on-the-go options. Think wholegrain dry cereal bites, easy to eat fruit like bananas, homemade wholemeal muffins, or yoghurt in sachet.